Back in the dark days before Eduard broke into the WWI plastic kit arena they were doing photoetch fret for other kits. Though they were not the first examples these early Eduard brass etch sets were just the details that many of us took to begin to enhance older kits. In 1991 the very first Eduard brass fret that I used was for the old 1:48 Aurora / Monogram SE 5a. What we would consider a Zoom set for only the instrument panel. Well gentle folk they have stepped up with a photoetch set for the Wingnut Wings 1:32 SE 5a with the Hisso characteristics. But I have to say that this set is so good it could easily augment the Roden 1:32 SE 5a with the Viper characteristics as well. One note before we get started. PE by its very nature is not meant to stand alone. It is meant to detail and enhance the kit it was designed for. You get a typical Eduard clear baggy that opens at the bottom with a fold over flap. Enclosed you get three nickel covered frets of 145 pieces. MSRP 34.95 USD. Instructions are laid out in a 5 page sequence that could do with more information for clarity. I recommend using highlighter markers to help you remember what you have completed if you have to spend any long period between building steps. Page 2.) Deals with all of the typical SE 5a instrument gauges, fittings and an alternate Vickers cocking handle. Page 3.) We find augmentations for the flooring and interior of the cockpit cowling. 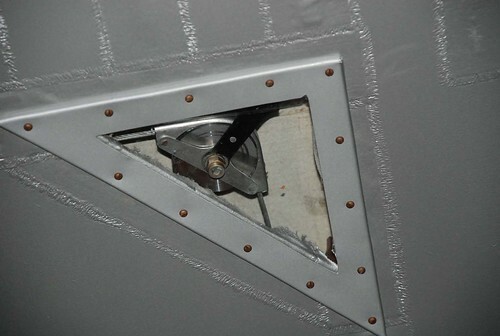 Then there is more of the dressings for the Vickers machine gun and its outer cowling surface. Then there are some fine cabane strut rigging anchors. Page 4.) Eduard gives you the two main radiator variations for the production Hispano-Suiza motor. The chin pan is particularly nice with its adjacent vent and bracing details. The exhaust pipe fittings are next with the upper wing Foster mounting and Mk II Lewis machine gun gets some fine augmentations. Page 5.) Finally we see exterior pieces for the wing surfaces, landing gear bracket, aileron, elevator and rudder fittings. The rigging attachment mounts are particularly nice for the recent supply of aftermarket RAFwire sets that we have seen come out this year. 1. The SE.5 File, Ray Sturtivant & Gordon Page, Air Britain, 1996. 2. RAF SE.5a, J.M.Bruce, Windsock Datafile Special, 1993. 3. RAF SE.5a, J.M.Bruce, Windsock Datafile, 1989. 4. SE.5a in Action, John F Connors, Squadron Signal, 1985.
http://thevintageaviator.co.nz - 1914-18 Aviation Heritage Trust. 6. "British Fighter Units 1917-18” by A. Revell, Osprey Pub. Ltd. 1978. 9. “S.E. 5 Fighter Supreme” by J.M. Bruce, Aeroplane Monthly Pp. 327 - 331, June 1977. 10. “S.E. 5 Fighter Supreme” by J.M. Bruce, Aeroplane Monthly Pp. 355 - 360, July 1977. 11. “S.E. 5 Fighter Supreme” by J.M. Bruce, Aeroplane Monthly Pp. 437 - 442, August 1977. 12. “S.E. 5 Fighter Supreme” by J.M. Bruce, Aeroplane Monthly Pp. 493 - 498, September 1977. 13. “S.E. 5 Fighter Supreme” by J.M. Bruce, Aeroplane Monthly Pp. 552 - 558, October 1977. 14. “S.E. 5 Fighter Supreme” by J.M. Bruce, Aeroplane Monthly Pp. 608 - 613, November 1977. 15. Royal Flying Corps in WWI by R. Rimell, Osprey Vintage Warbirds series #1, 1985. 16. The SE 5 by J.M. Bruce, Profile Publications #103, 1966. 17. The SE 5a by J. M. Bruce, Profile Publications #1, 1964. It looks like this is just the beginning as there promises to be sets for the Roden 1:32 DH 2 and Spad VII. Lows: There is no vented jacket for the Vickers. The instructions could be a bit more detailed in the gauges, instruments and lap straps. Verdict: With a good list of references in hand this set will only add value and enjoyment to your build. Greetings Dave I'll check with Karaya. Oh that would be nice. I have a second LVG lurking around here somewhere. Greetings Dan, The metal covers come from a post war restored version at Point Cook. Note the frayed tape edges under the metal framing. Hugh Coleman photoshopped a set for application to clear decal for his Roden 1:32 SE 5a 2008. Here are some other details from the "Viper" SE 5a at Point Cook courtesy of the good fellow Hugh Coleman April 27, 2008. And a few more from Hugh. Much of the Eduard frets cover these items except for the radiator of course.